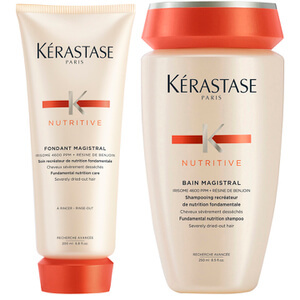 Treat dry hair to the Kérastase Nutritive Bain Satin 2 and Nutritive Lait Vital; an innovative haircare duo that promises to cleanse, nourish and hydrate thirsty locks. 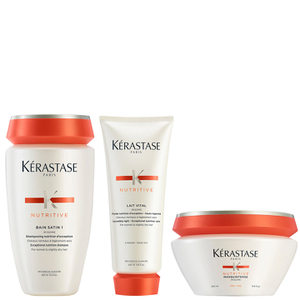 Expect soft, smooth hair with a boost in radiance. 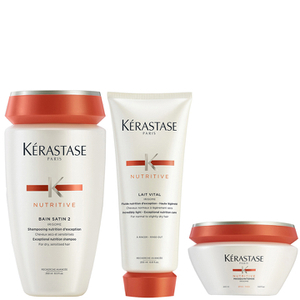 A nourishing shampoo specifically developed for dry to very dry, sensitised hair. 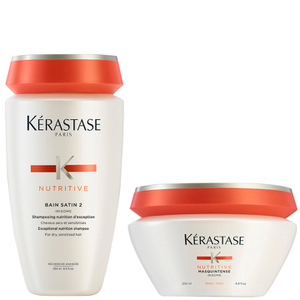 Infused with a cocktail of glucose, lipids and proteins, its formula gently removes excess oil and impurities, whilst delivering long-lasting hydration for healthy-looking locks from root to tip.